Key difference: Essentially the main difference between Muslims and Christians is that Muslims follow the religion of Islam, whereas Christians follow Christianity. Christianity is a monotheistic religion that originated in Jerusalem in 33 A.D. Christians follow the teachings of the Old Testament and the New Testament, which consists of the teachings of Jesus. Islam also believes in the original texts of Judaism and Christianity, but believes that the modern texts have been corrupted. Essentially the main difference between Muslims and Christians is that Muslims follow the religion of Islam, whereas Christians follow Christianity. Both, Islam and Christianity are Abrahamic religions. Abrahamic religions are religions that attribute their origins to Abraham. These include Judaism, Christianity and Islam. All three are monotheistic, i.e. believe in and worship the one true God. Christianity had originally been a sect of Judaism, which then formed into its own religion. 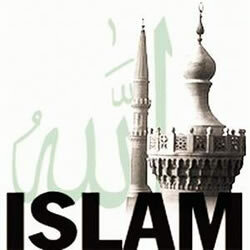 Islam, likewise, branched out of Christianity. Christianity is a monotheistic religion that originated in Jerusalem in 33 A.D. Christians follow the teachings of the Old Testament and the New Testament, which consists of the teachings of Jesus. The Christians believe that Jesus is the son of God and the savior of humanity and was born through a virgin birth. They believe that Jesus is the Messiah that is prophesied in the Hebrew Bible (Old Testament) and that he suffered, died, was buried, and was resurrected from the dead in order to grant eternal life to those who believe in him and trust him for the remission of their sins. A person can be admitted to the church through baptism. Islam also believes in the original texts of Judaism and Christianity, but believes that the modern texts have been corrupted. Muslims believe that the after the corruption, Allah finally sent Muhammad to sum up and to finalize the word of God. Gabriel, the angel, delivered the Qur’an to Muhammad, the prophet and the messenger. They believe that on the Day of Resurrection, Jesus and Muhammad will rise on Earth to fight the false Messiah (the Anti-Christ), and to bring all the people under the true word of God (the Qu’ran). Also, a major difference in their beliefs is that Christianity believes Jesus Christ to be the son of God, whereas Islam refutes this claim. Islam states that Jesus Christ is a human prophet of God and not the ‘son’ of God. Jesus Christ taught the word of God and then died and was accepted into heaven. Both Christianity and Islam have a number of similar practices in fasting and giving alms to the poor. Both utilize prayer beads, and take pilgrimages to receive blessings from God. However, Islam dictates that the member should pray five times a day. It also prohibits foods including pork products, blood, carrion, and alcohol. All meat should be halal, i.e. come from an herbivorous animal slaughtered in the name of God by a Muslim, Jew, or Christian. In modern times, Islam has been criticized for its strict traditional believes and its treatment of women. Even though this has been changing to some aspect due to modernization, there are some sects who force members to follow the traditional law and rules. From Arabic meaning “voluntary submission to God”. From the Koine Greek word ‘Christ’, a translation of the Biblical Hebrew term, ‘Messiah’. Christians follow the teachings of the Old Testament and the New Testament, which consists the teaching of Jesus. Believes in the trinity, Father, the Son and the Holy Spirit. Believes Jesus Christ is the son of God. 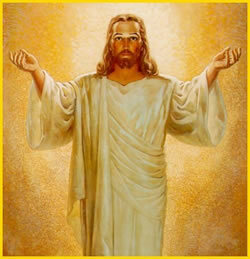 Jesus is one of the highest-ranked prophets in Islam and is born through virgin birth. He was not divine and spoke only of God’s worship. Ascended to heaven. Believed to the son of God and the Messiah. Born through virgin birth. Sacrificed for the sins of humanity. Friday (day for prayer), Eid al-Fitr on the 1st of Shawwal, marking the end of the fasting month Ramadan, and Eid al-Adha on the 10th of Dhu al-Hijjah, coinciding with the pilgrimage to Mecca. Salvation or Damnation after death. No reincarnation. God is the true creator; Only Allah should be worshipped; Everyone should obey the commandments given by Allah. Trinity is blasphemy. God is omnipotent; the trinity of God- the father, the son and the holy spirit; There is only one God and that he has revealed himself as the Trinity: Father, Son, and Holy Spirit. Salvation is a gift from the Lord and comes by grace alone through faith in Jesus Christ only.